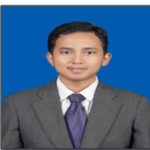 2012 – 2013 Student at Economics Post Graduate Program, Bogor Agricultural University, Indonesia. 2004 – 2008 Bachelor Level, Economics, Bogor Agricultural University, Indonesia, 2008. 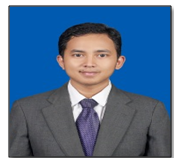 Mr. Sigit Yusdiyanto hold a Bachelor degree from Bogor Agricultural University (IPB). He has 4 years’ experience in the field/research on applied finance and economics particularly related to development economics. He actively conducts collaborated research with international and national research partners such as Central Bank of Indonesia, IFC, Sarana Multigriya Finance (SMF), ILRI, EC-Think, etc. He has strong qualitative and quantitative analytical skill. His experiences and accumulated knowledge supports roles in his research related activities. His responsibility mainly assist team leader in data analysis and writing report. 2009 : Training on the Methodology of Participatory Rural Appraisal (PRA) and Value Chain Analysis (VCA). The Pro-Poor HPAI Risk Reduction Strategies Research. Nuryartono, N., Rosita, Rima and Yusdiyanto, S. Building a Microfinance Institution in Indonesia: Solutions to overcome the problem poverty and unemployment. 2010. Scientific Writing Paper. Kusumowardani, N., Vitayala, A and Yusdiyanto, S. Empowerment of Women in Gender Equality. 2010. Scientific Writing Paper.